You don’t have to talk to me very long to understand I am an avid fan of college football. Most of the teams have reported back to begin practice and we are days away from the first games! I can’t wait! But as intense as every Saturday promises to be, do you realize that most of the games are being won and lost right now before they are even played? Who shows up in shape? Who was watching extra film? Who is most focused and determined in practice right now? People who study successful men and women always point out how intentional they are with their time and work. Every action today is done with tomorrow’s contest in mind – a contest they will be most prepared to win. I remind you all of the time that we have to “get ready” because there will come a time when we will have to “be ready.” The contest will begin and the time for preparation will be over. We will win or lose by how prepared we are for the moment. We will face temptation. We know that moment is coming. What are you doing right now to get ready to resist that temptation? We know someone will ask you about your relationship with Jesus. What are you doing to get ready for that moment? 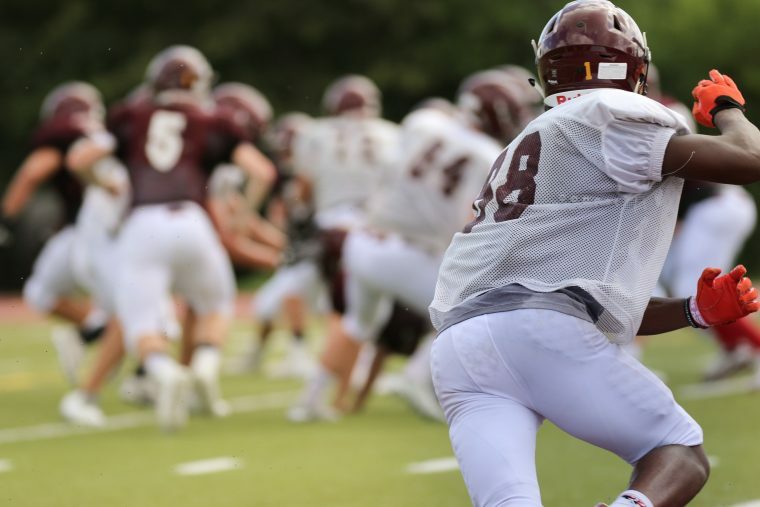 Just as football games are won in practice, spiritual victories are won and lost in our preparation. The moment is coming…and what we are doing right now will determine how well we do.